This inspiring, heartfelt, and powerful memoir by a mother of a child with Down syndrome explores the incredible blessings and challenges of raising a child with disabilities. When Bernadette Agius—an ambitious career-focused woman—became pregnant, she imagined her unborn child attending the best schools and dazzling everyone with his impressive wit, charm, and intelligence. But when the doctors placed her baby boy in her arms and told Bernadette he had Down syndrome, those dreams instantly disappeared. While her first impulse was to fight against this new reality, she soon found the strength to become the champion her son, Richard, would need and deserved. With the help of her husband and a newfound village of professionals, Bernadette forged a new life, discovering along the way that everyone has a different version of normal. Ultimately Richard, now thirty, was able to defy expectation and become an independent adult. 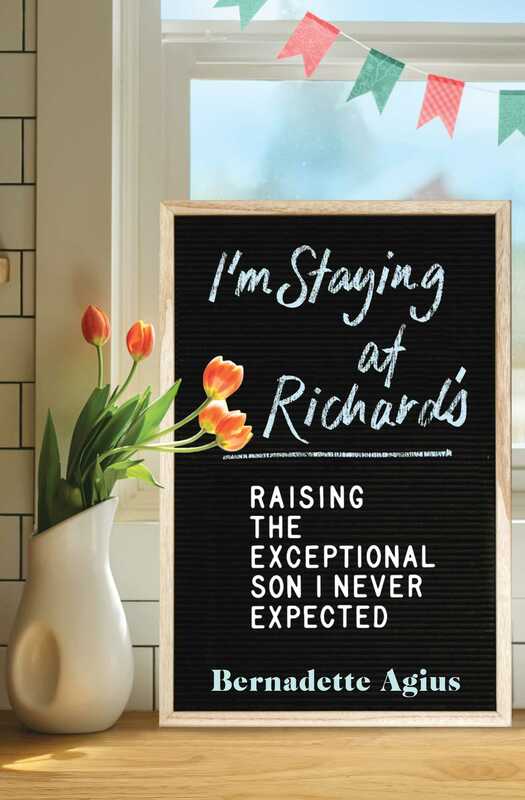 Grounded in love, offering a message of hope, and told with humor and honesty, I’m Staying at Richard’s shines a light on the fierce, unwavering love of a mother for her son. Bernadette Agius has been the successful publisher of many self-help titles and is a trained mental health counselor. She is a fierce advocate for people with intellectual disabilities and believes their stories need to be told. Bernadette lives in Australia.